Carpets can get a lot of wear and tear over the years, which is why we use Shaw Floors PET carpets in our homes. Shaw PET carpets are made from stain resistant materials, which protect it from spilled food or drink. Your carpet is treated with Shaw’s R2X Stain and Soil Resistance, which offers enhanced protection. That protection lasts from the day the carpet is installed, for as long as you own it. 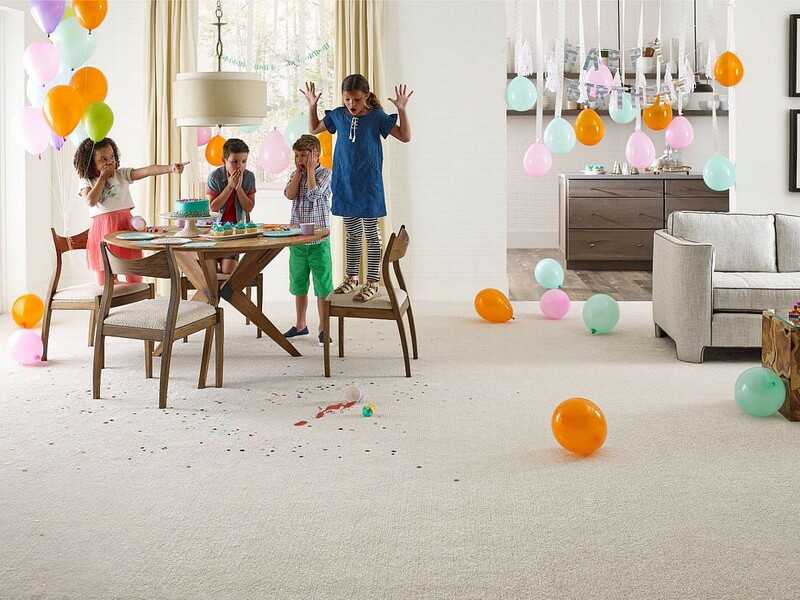 Your carpet comes with a ten year warranty, which allows it to resist soiling from dry dirt. Shaw PET carpets also resist staining caused by pet urine. Your Shaw PET carpet will not abrasively wear away by more than ten per cent in any area of the carpet, protection that lasts for ten years. Shaw PET carpets come with a warranty that covers manufacturing defects for ten years. We’ve chosen to partner with Shaw Floors because we want the best for your home.